THIS DRESS HAS BEEN SOLD! 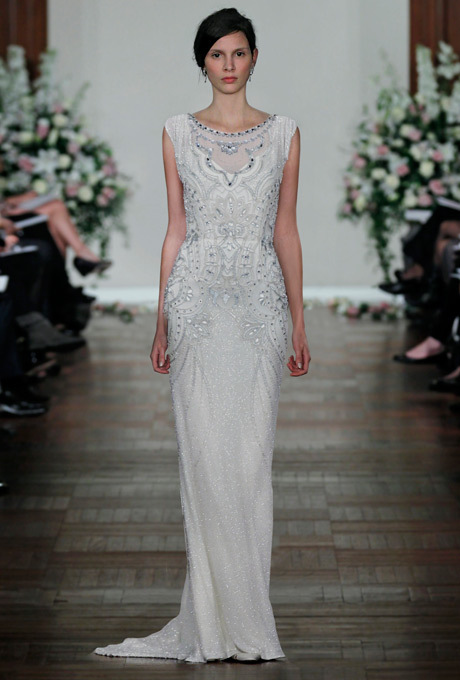 This is an incredible silk gown by Jenny Packham. 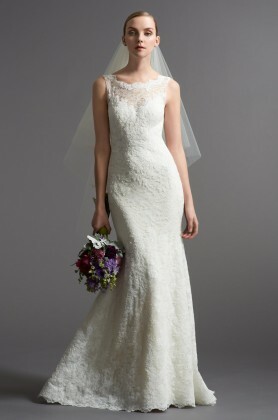 It features incredible intricate beadwork and romantic sheer back, a very vintage-inspired sheath gown! We received this as a donation from a high-end NYC bridal salon, which donates some of its high-end discontinued sample gowns. All sample gowns are deeply discounted like this one and damage is taken into consideration on the price. This particular dress needs some major work! There's about $500+ in repairs needed to get this dress in prime condition. Unfortunately, we received this sample dress in this condition and we have discounted it more than normal, because of the damage. If you have a seamstress or someone handy who can fix this up, it is well worth your money as this boho chic beaded dress is so "in" right now and we have nothing else like it! Its truly a masterpiece! The main repairs are fixing beads throughout (adding some that fell off) the dress and repairing some of the netting. We want to see this dress go to a good home as its absolutely beautiful and we know someone would appreciate the quality and intricate work you can't replicate at this price point! This particular dress is over $4,000 off! We only have one of these gowns in size UK 12. Inquire for more photos, including photos of the damage so you can see the work that will be required.